During the summer of 2016, we were led by God to send a team to Crum, WV to proclaim the gospel and serve families of this area. The Center for Short Term Mission's, a short term mission's trip ministry, helped our team plan and lead this trip. A team of 21 individuals, a supportive and prayerful church family, and the financial support for friends and loved ones far and wide made this trip possible. God did far more than we could have imagined by raising over $12,000. We were able to use that money to provide for the team needs of the week along with food, bedding, home repairs and room makeovers for families in need. Below are some videos and photos of this trip. Thank you for your prayers and support that enabled us to carry the gospel and hands of compassion to people in need. His name was glorified and we were changed by this opportunity. Proclamation - This is a video trailer that was designed to promote our update Sunday. The Mission - This was a second video designed to encourage others to attend our mission's trip update service. Luke Brubaker, one of our team members, took video and interviews before, during, and after the trip and put together this video below of our trip. 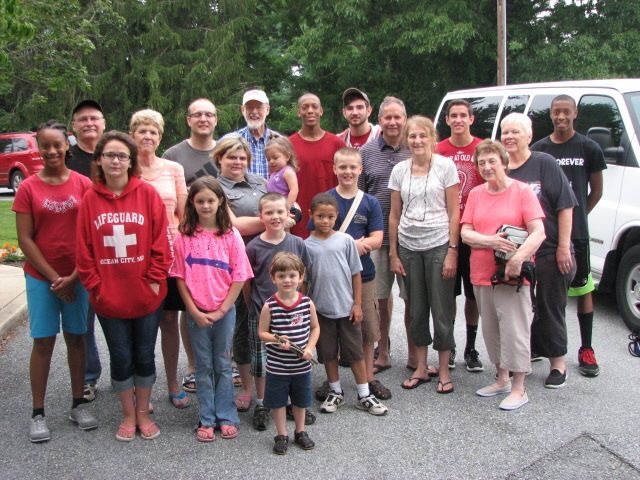 This is the team that that left for WV on Saturday morning, July 9th. This was the team that was originally planning to go. Due to some scheduling conflicts, four of this team were unable to go and we were able to add three others in their place. Even though they did not physically go with us, they are very much a part of the mission's team and thank God for each of them and their involvement in the trip! Below is a complete video of our Mission's update service. To hear about what God did in and through our team on this trip, please watch the full video below of our trip presentation.